Strong plastic film that is easily stretched around items, especially pallets. The elastic recovery of the wrap means that it keeps the items tightly bound and is perfect at keeping pallet items stable. Fully compatible with most stretch pallet wrap dispensers. Can also be applied by hand, with the film adhering itself once it is wrapped around the pallet or around the goods and protects against dust and the weather and will also retain its tension whilst in transit. Width - 400mm. Length - 300m. 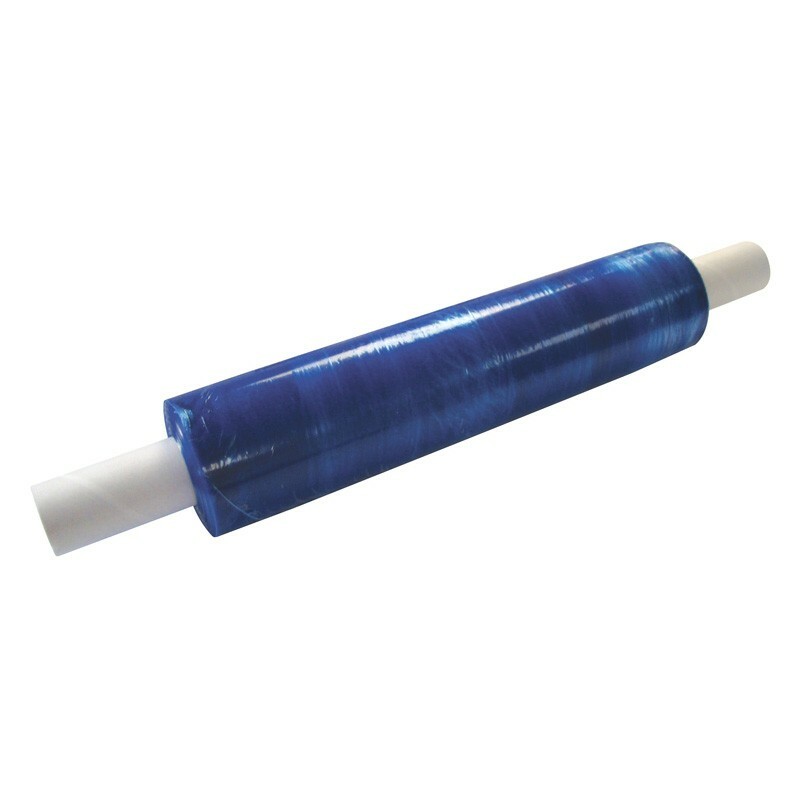 Blue stretch pallet wrap is commonly used in food packaging.